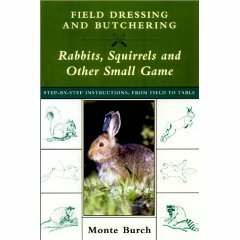 This excellant book guides you through gutting, skinning and butchering rabbits, squirrels and more exotic creatures such as beaver, muskrat and raccoons! Using plenty of diagrams, photos and step by step instructions you are taken through the process with little fuss or mess. I changed the way I skinned rabbits after reading this as the method is so quick and easy. Aimed primarily at the benchrest shooter this is still a great read for us regular shooters. 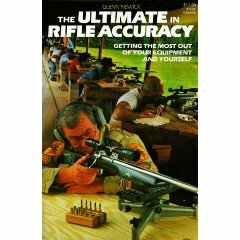 The author goes through the essentials for an accurate rifle; stocks, Actions, Barrels and the Scope. He then goes into details about benchrest shooting, the specialist techniques involved and the various sub disciplines. There is a chapter for the reloader on how to prepare cases and select loads, together with how to clean your rifle correctly to ensure consistant accuracy. Finally hunting rifles aren't left out totally, with several suggestions on how to improve their accuracy too. This is an absolutely brilliant book for anyone wanting to butcher their own deer at home. The book starts with a bit of history on the North American species and how best to go about shooting the deer to reduce stress and obtain the tastiest meat possible. Once shot the author then takes you through how to field dress the deer, aging the deer and how to pack it for the journey home. 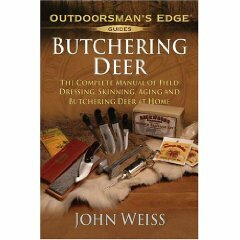 But the most useful chapters give comprehensive instructions, diagrams and photos on how to first skin the deer then break it down into the primal cuts followed by jointing it into several different cuts of meat. These joints are then packed and frozen. Nothing is wasted as you are shown how the lesser cuts can be turned into burgers or sausages. Finally, various recipes are provided to help you really enjoy your own venison. Quite a think book full of information on getting the most out of your rifle. The first third details the evolution of different cartridges and how they came into being. A bit heavy going at time but interesting none the less. The section on scopes discusses uses for different magnifications and reticles as well as how best to mount your scope avoiding cant and getting the correct eye relief. This book is full of personal anecdotes to help illustrate the author's point and they do help to break up what can sometimes be a dry subject. Being a book about hunting, there is a lot of information on how to hold the rifle and position yourself to give a stable platform before pulling the trigger. 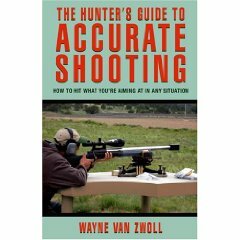 The book concludes with practical advice about shooting in the wind and the best places to shoot an animal to kill it humanely. Overall a very useful read, if a bit heavy going at the start it is well worth persevering with. Mark Spicer was Sergeant Major in the British army, having served for 18 years. He now acts as an instructor for the worlds military and paramilitary including the US marines and our own SAS. 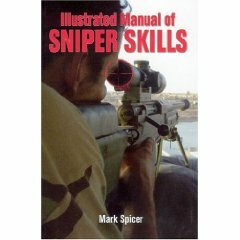 This book is very much a reference book for anyone wishing to know how a modern sniper is trained and the equipment he uses. I'm not sure if I need to know what the soft points are on a submarine, but after reading this book I know them! There are many photos, including both training and those taken during active combat, and illustrations to go along with the text. Much of the equipment used, not just the rifles, is detailed along with comparisons with other countries. For the hunter the main areas of interest are the various examples of holding the rifle to ensure a stable platform, plus the information on range estimation and how to compensate when shooting up or down hill.